Hey Friends!! So we are hunkered down in our drafty old house today because we have about 8 inches of snow outside and wind chills of -24. Ahhhh!! Old Man Iowa Winter has officially arrived. 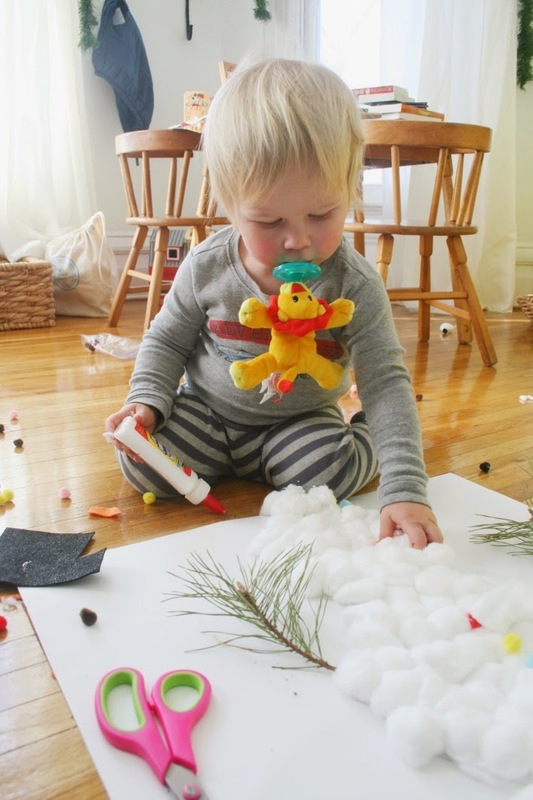 So if it's cold and snowy where you are, you and your little people might enjoy this wintery craft as much as we did. As Emmett attention span has increased from 2 seconds to 10, I thought it might be a good time to start doing some simple arts and crafts with him. That why I made a grand effort to incorporate several winter themed crafts into our modified 12 Day Christmas Advent activities last month. True to form, we only completed 1 of the 5 crafts I had scheduled, but hey! at least we are starting somewhere. 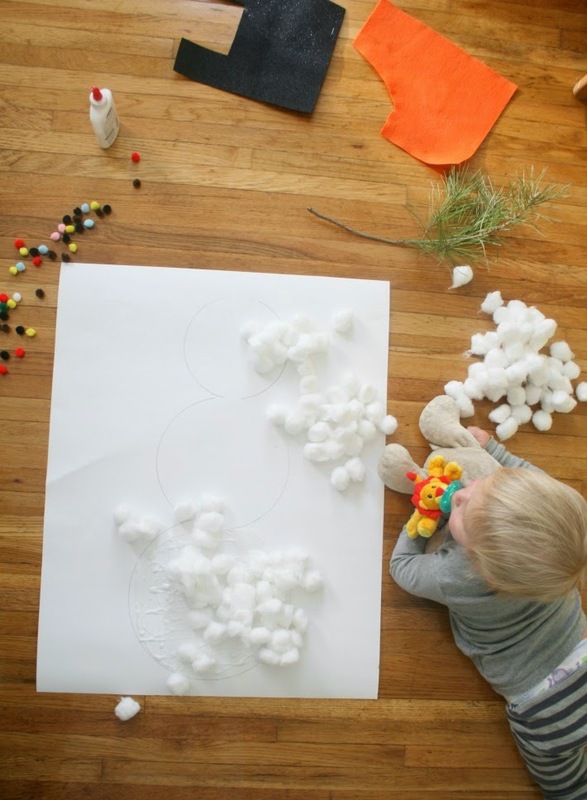 This cotton snowman poster was so fun, though Emmett mostly enjoyed sticking the cotton balls into the glue and spreading the extras across the floor. After we hung it on the fridge, you could tell he was so proud of his artwork. Since then we have moved onto all kinds of little activities and he is loving it. You can see our little art basket here. 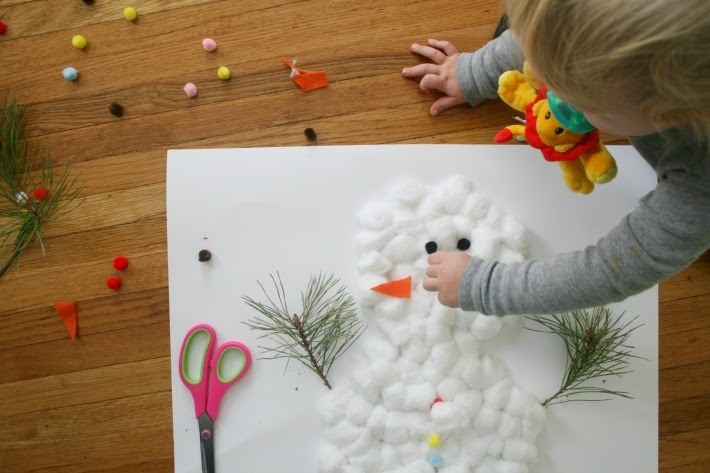 And since this is a great winter craft, I thought I would share it for you to enjoy with your own littles on a snowy afternoon. 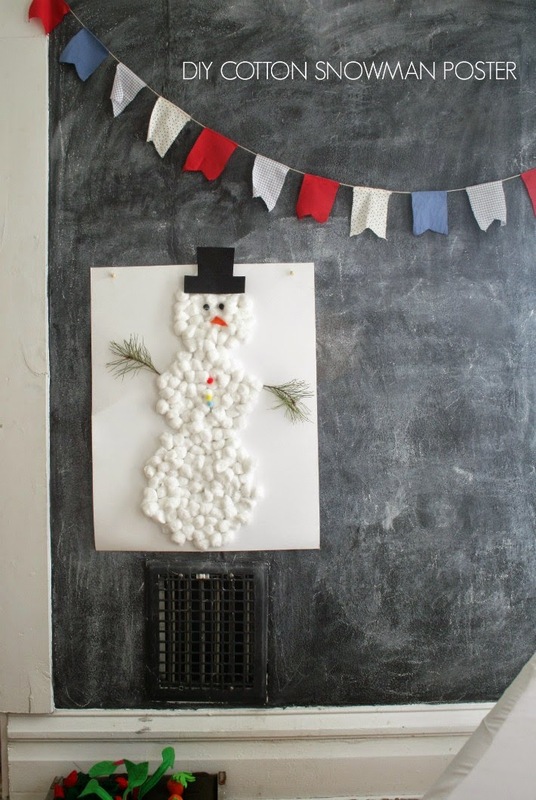 Use three descending sized bowls to draw your snowman shape on the large white poster. 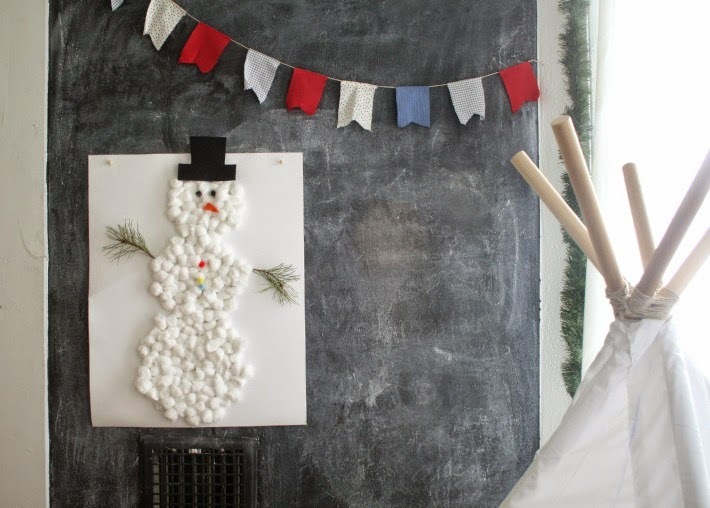 Begin gluing cotton balls on the snowman body shape. Continue until completely covered. Cut 1 hat shaped piece from the sparkle foam board. Glue onto snowman head. I used several cotton balls glued under the top of the hat for extra support. Glue on eyes, twig arms and nose shape. 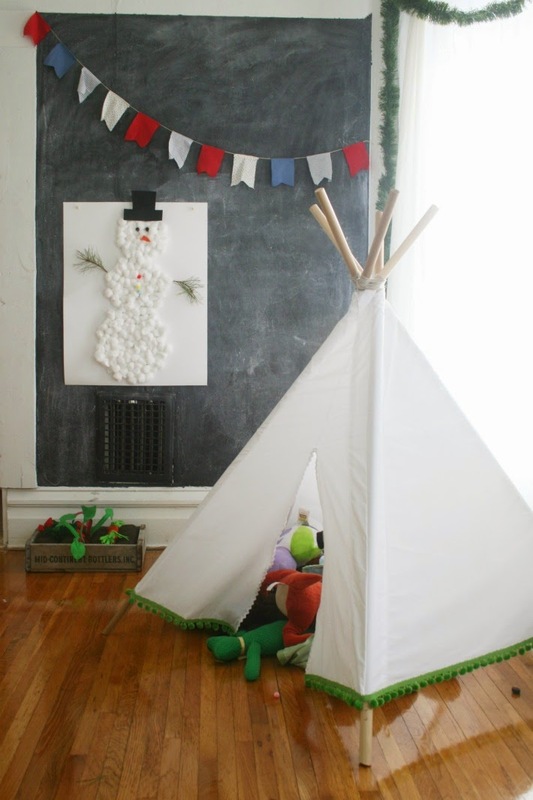 Hang in your cozy house but not before having a cotton snowball fight in the living room. Well that is just beautiful! And I love the photos of life you capture! 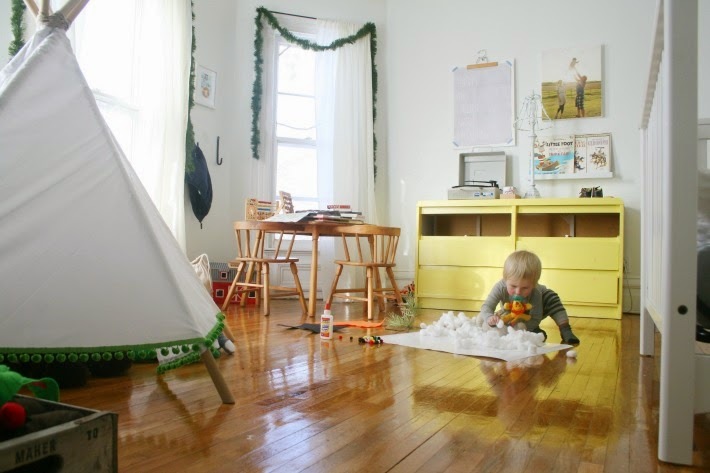 Your home is always so lived in & idealic! Just found your blog and I'm so excited to follow along. 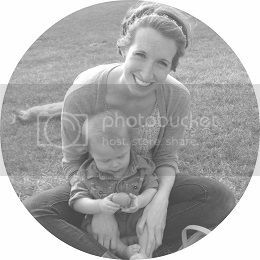 I love the way you capture such beautiful images, very inspiring to me as a new-ish blogger and photographer. Also, my kiddos would love this little craft!